It’s not enough to create strong products if your target audience cannot find them. To turn a profit quickly, you need an eCommerce website that looks fantastic, functions seamlessly, and attracts as many customers as possible. Launching an online store is the first step to unlock your business potential. You also need to develop a targeted marketing strategy to drive the right traffic to your website. Follow these best practices to sell products online and unlock your eCommerce marketing capabilities, fast. The number one reason customers abandon online shopping carts during checkout is that they find the shipping, taxes, and other fees too high. These “excessive costs” account for 60 percent of abandoned carts, according to email marketing solutions provider Moosend. 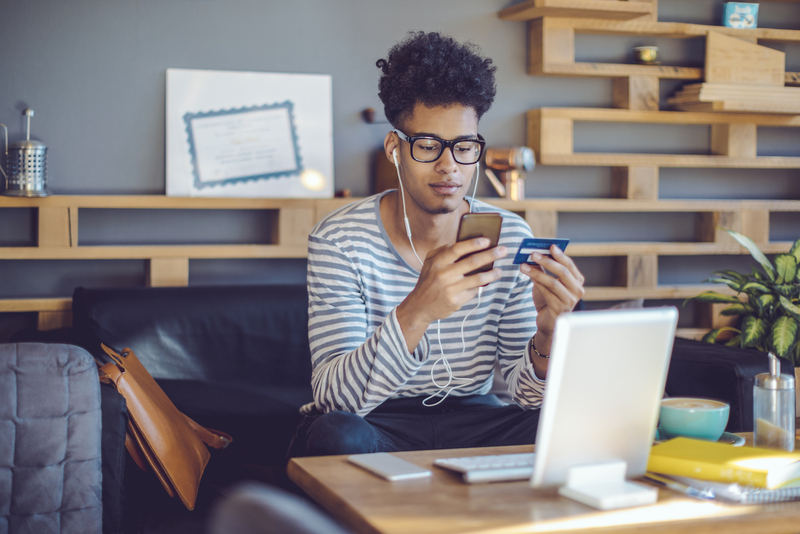 Offering coupon codes, sale items, or shipping discounts—all of which you can manage with Square Online Store—can help grow your customer base quickly as you start to sell products online. For example, outdoor clothing retailer The Buffalo Co. offers free shipping on orders over $100. The company also offers a 10-percent-off coupon to customers who sign up for its newsletter, which promises to alert readers about deals and special offers before anyone else. On average, consumers abandon a staggering 65 percent of online shopping carts, according to ReadyCloud CRM. Sending automated abandoned cart email can help remedy this. Consumers open 45 percent of abandoned cart email and click through 21 percent of them. In addition, half of those clickthroughs result in a completed purchase. Serving targeted Facebook ads to shoppers who viewed products without making a purchase is another way to capture lost sales. You can use ads to direct traffic back to the product pages where shoppers dropped off. The average advertising conversion rate on Facebook is nine percent, according to WordStream, an online advertising software provider. 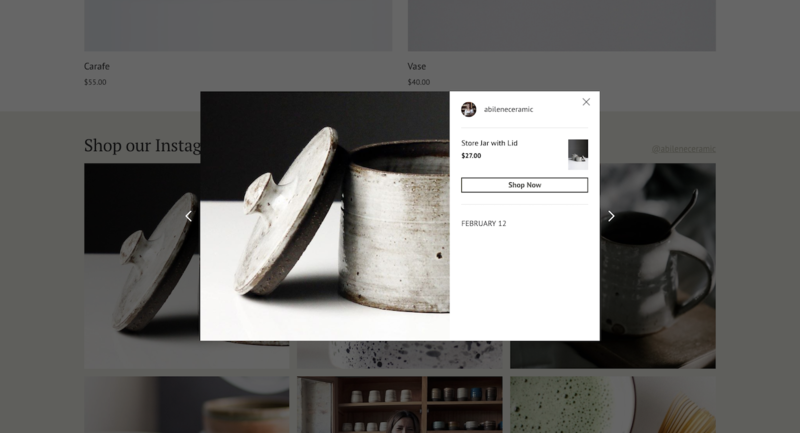 Next, turn Instagram followers into customers by adding shoppable Instagram galleries to your website. It doesn’t take much effort to launch a captivating website if you already have an Instagram account for your business. Import your Instagram photos so shoppers can securely check out directly from the image on your website. Simply import your Instagram feed and tag images with products from the product catalog. Importing Instagram photos also enriches your product pages with lifestyle imagery and creates a cohesive multichannel experience for shoppers. Remember to include your domain in your bio to ensure your Instagram profile is buyer friendly. After followers see your product in their Instagram feed, they’ll be able to find the same photo on your website to complete their purchase. Instagram shoppable gallery check out. Customers value open lines of communication. When you sell products on your online store, going the extra mile to show that there’s a friendly, real person behind the digital storefront is doubly important. Adding your email address, a contact form, and social media buttons to your online store tells visitors that you want to hear from them. The online store of Avant Garden, a florist based in Delafield, Wisconsin, takes this a step further, providing a phone number customers can call for assistance with their order or to make delivery arrangements. Because some of Avant Garden’s arrangements can’t be shipped, its eCommerce website takes advantage of Square’s in-store pickup button. Avant Garden demonstrates in-store pickup. Giving customers a way to connect with you after the transaction is just as important. With Square Online Store you can easily manage product reviews. Determine how long after an order is placed to send an automated email requesting feedback. While prebuilt product review templates are available, you have the freedom to customize your email to represent your brand. Once feedback starts trickling in, approve or reject reviews and instantly publish them on your product pages to start gaining trust with more shoppers. Finally, if you’re aiming to sell products offline in the future, the smoother the integration between your online storefront and in-person operations, the more money you’ll make. Overly complex checkout processes account for 28 percent of abandoned shopping carts. Square Online Store seamlessly integrates with Square Point of Sale and automatically syncs your online and in-store orders, items, and inventory—so you’re ready to sell in person when the time comes. Getting online is the first step. Set your business up for success now. Start generating revenue quickly using all the built-in tools available in your Square Online Store. Get started free with Square Online Store.